This casserole is made with a delicious combination of flavors. Corned beef, sauerkraut, Swiss cheese, Thousand Island dressing, and noodles are combined in this tasty casserole. The rye bread crumb topping is the perfect finishing touch. I like caraway seeds, but they may be omitted. Use deli corned beef or make the casserole with diced leftover corned beef. Grease or spray a 9-by-13-by-2-inch baking pan with cooking spray. Cook the noodles in boiling salted water following package directions. Drain and transfer to a large bowl. Cut the corned beef into small pieces; add to noodles along with the drained sauerkraut, shredded Swiss cheese, and caraway seeds. Pour noodle mixture into the prepared baking dish. In another bowl, whisk together the dressing, milk, and mustard. Spoon the dressing mixture evenly over the noodle mixture. Tear the bread into smaller pieces and put it into a food processor; pulse to make small crumbs. 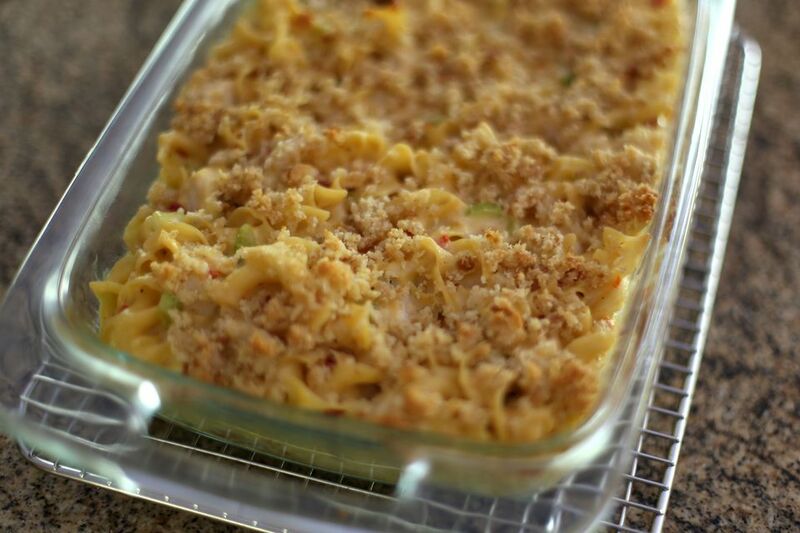 Toss the breadcrumbs with the melted butter then sprinkle over the casserole. Bake the casserole in the preheated oven for 25 to 35 minutes.